When I was growing up, I was obsessed with Egypt. I read every book in the library on the subject and I wanted to be an Egyptologist so bad. I wanted to find new pyramids and risk mummy's cursing me and frolic through the desert sands. Fast forward to today...I'd still gladly do all those things. It's still #1 on my travel destination and I love reading about the culture. So naturally, when there is a polish named after the beautiful Nefertiti, I had to have it. 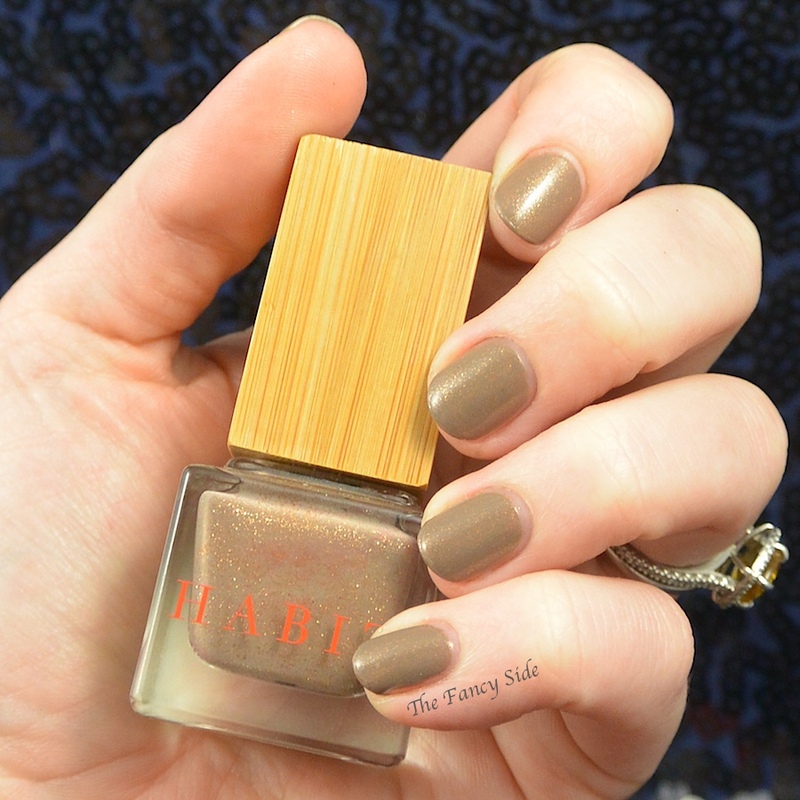 This is Habit Cosmetics Nefertiti. 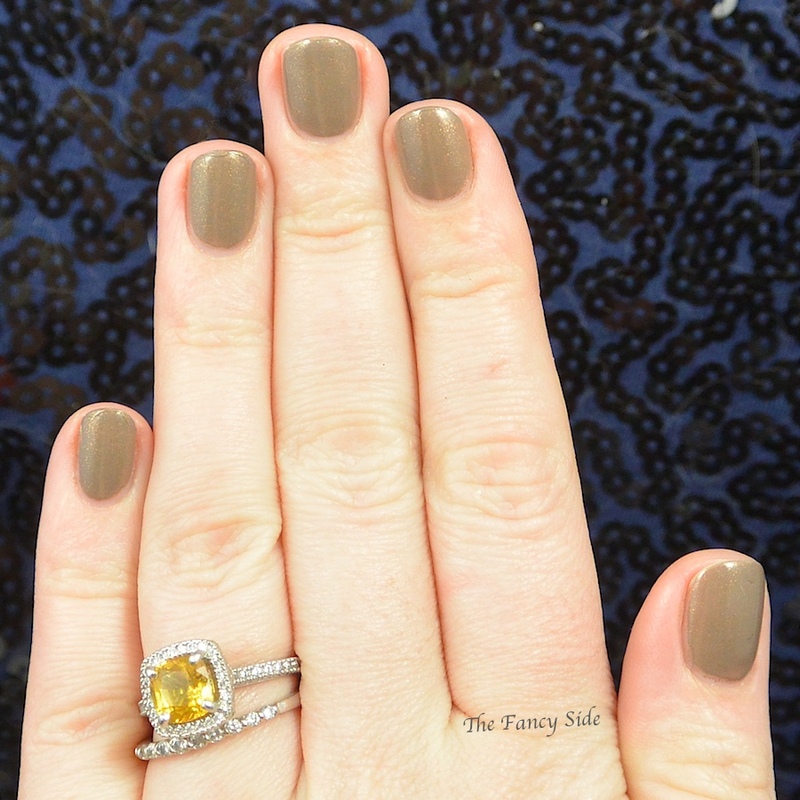 This is a beautiful mocha creme filled with copper and gold shimmer. 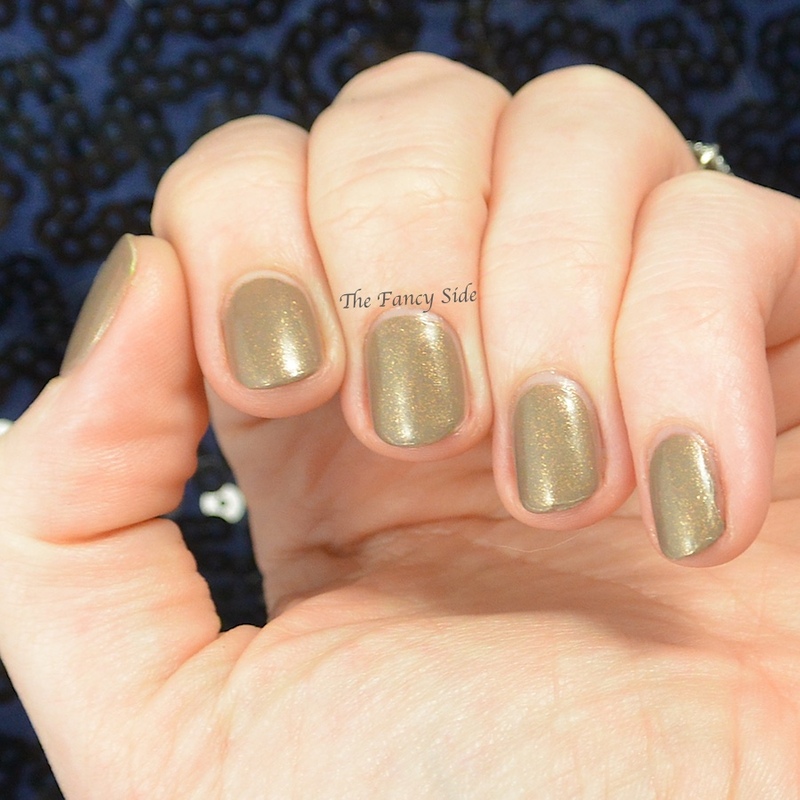 I absolutely love the shimmer in here, two easy coats gave me full coverage. I wanted to use my Ancient Egypt stamping plate, but I couldn't find it cause I'm lame. 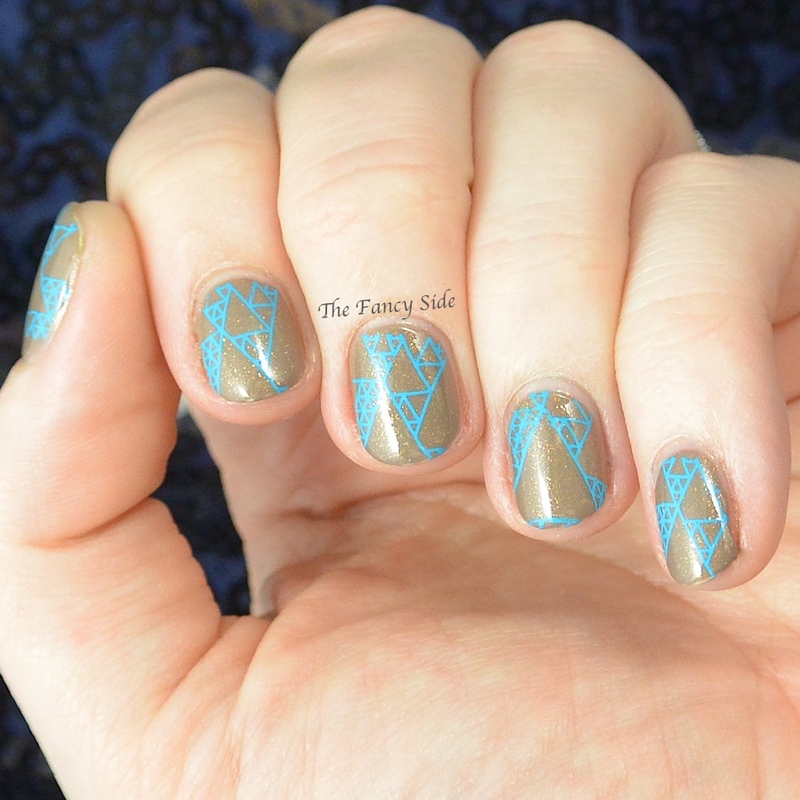 So I used MoYou London Hipster 08 and Mundos de Unas Turquoise to stamp on some triangular shapes to represent the pyramids. 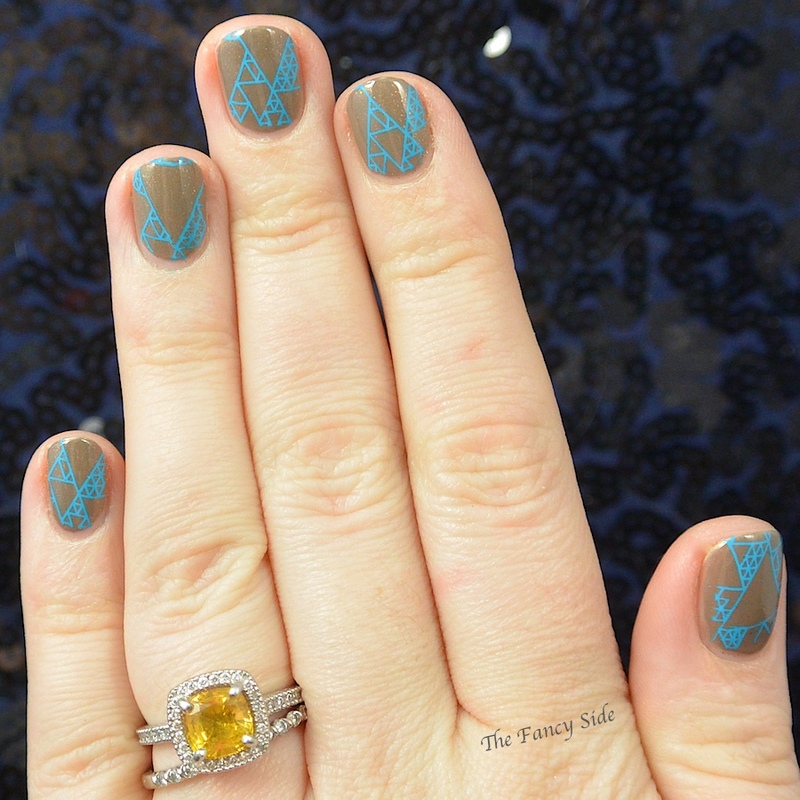 Don't forget to check out all the other ladies who have created a stamped look. You can even add your own in!! Thanks! I'm really happy with how it came together! I've never heard of that brand before, its super pretty on you. The stamping and color you chose go so well with it...very niiiiiice. I got one in a trial box forever ago. I ordered this one and another that I need to use.